It was ridiculously hot on my top bunk. The clothes washing area was in the next room over and the heat from the dryers made our room an oven. This, combined with the fact that I had zero head room, made for an awful night’s sleep. I woke up both nights because I was so hot, only to sit up to slam my head on the ceiling. 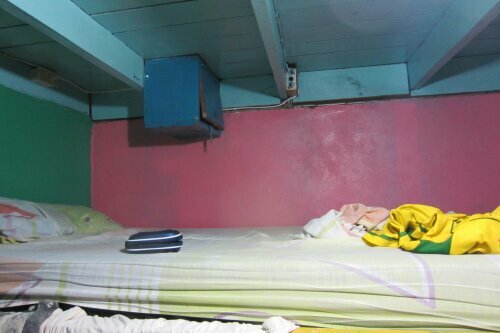 The second night, my head was right underneath that blue box, so when I barely stirred in my sleep I nailed my head on the corner of the strategically placed blue box. Bleeding. Miserable way to wake up. When my brother woke me up the next morning at 8:30am I wasn’t thrilled. 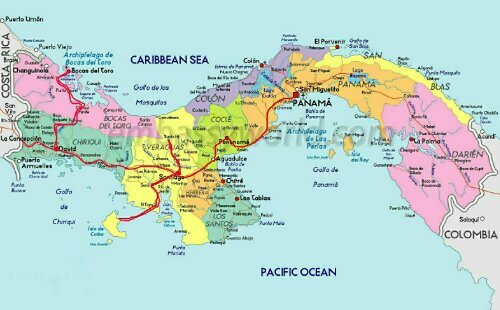 He suggested we leave and head over to the Osa Peninsula in the south west tip of Costa Rica. I was having a great time in Bocas del Toro and we had just gotten there, so although Corcado National Park sounded amazing, I didn’t think it was realistic to try to go here when we had to be at the airport on the 24th. My brother insisted, so we packed up and left for a long day of traveling. From Admirante we caught the shuttle back to Boquette. From Boquette, we caught bus back to David. 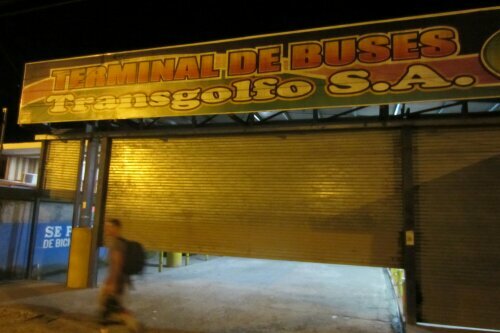 From David, we caught a bus to the border which is Paso Canoas, but we found out it is referred to as Frontera Paso Canoas. 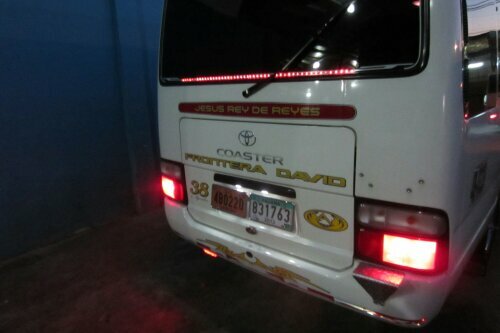 From David to Frontera Canoas wasn’t a bad ride, only about an hour and a half. The border was the last stop where the driver told us to get out and walk across. 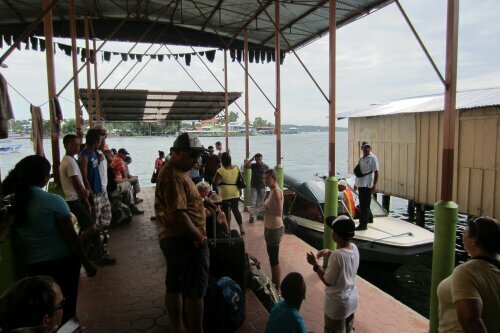 Our plan was to try to make it to Golfito which was the hub to take the ferry over to the Osa Peninsula and spend the night there. We were a little cautious as border crossing are generally a bit sketchy areas and we weren’t exactly what we were supposed to do to cross. 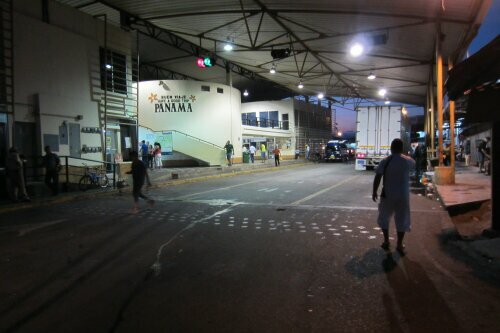 First we went in the customs line to exit Panama. This process was a little slow so we waited in line for about a half an hour. After this was weird- we realized there was no one stopping us from just continuing on, not even stopping to exit Panama let alone entering Costa Rica. 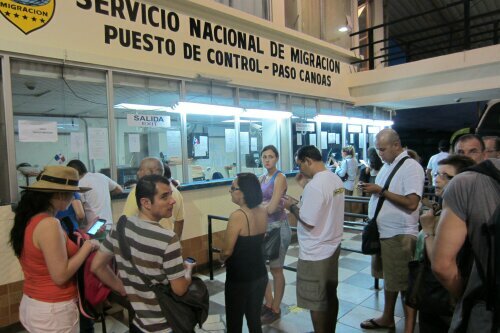 We were crossing the border when I said to my brother we must need to enter Costa Rica somewhere, otherwise I am sure we would have trouble at customs in the airport. 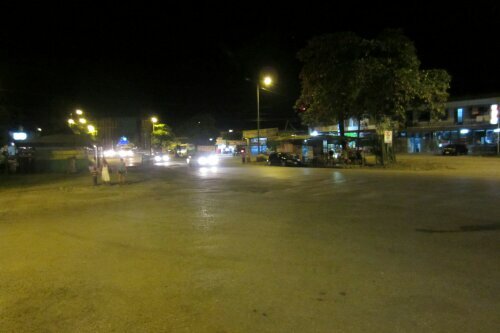 Essentially it was just a big open road with restaurants, hotels, etc in what appeared to be a no-mans land. 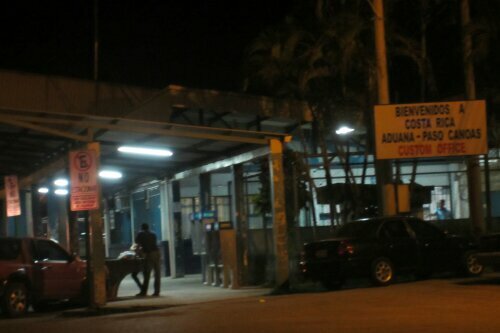 We asked around and a couple minutes up in this area we saw the customs for Costa Rica. There was no line at this little building. Did people forget to stop here to get their visas? The customs guy just asked us what our profession was, how long we were staying, and had us fill out a customs form. I was told you needed proof that you were exiting the country or would get a $100 fine so we were prepared for this but never asked. 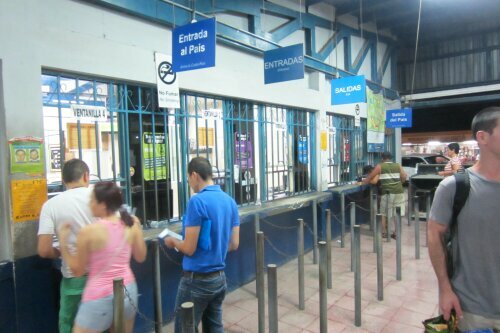 The bus station was also located in this no-man’s land between the exit to Panama and the entry to Costa Rica but it was closed. We went next door to a restaurant and talked to a taxi driver. We were told it would be 40 dollars to go to Golfito. There was a hotel in the same place which was $50 for a room and we would be able to catch the bus the next morning for much cheaper, so we took this option. It had been a long day and the hotel seemed legit. We were happy to have a nice air conditioned private room for a change.